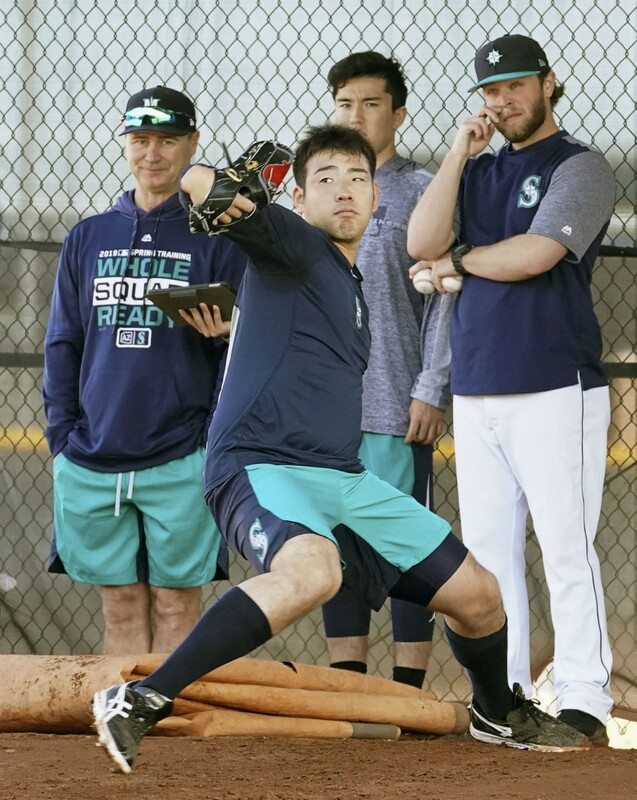 New Seattle Mariners left-hander Yusei Kikuchi took to the bullpen for the second straight day on Sunday ahead of his first major league spring training. The 27-year-old threw 46 pitches at the team's spring training facility outside Phoenix, Arizona, where the Mariners' pitchers and catchers will report Monday. "Throwing two days in a row is something I did a lot in Japan. It didn't feel unusual," he told reporters after his bullpen session, where manager Scott Servais had watched for the first time. "Having people -- the manager and other players -- watching from behind me, that was different from Japan," he said. "Right now my main thought is on getting it done in games. All I can do in the bullpen is practice. The important thing is to have my eye on the big picture and check off one-by-one the things I need to do to be prepared."